Wishing you and your family a Beautiful Christmas! I am thankful and blessed by all my readers! ENJOY and I will see you back here next week! I have made Apple Crisp for quite a number of years! It is so warm, inviting and comforting! 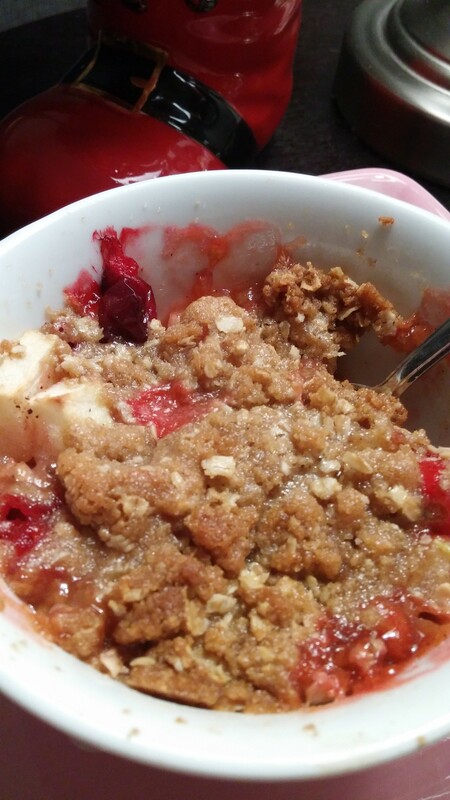 I recently started adding cranberries to my apple crisp and thought I would share this with you! 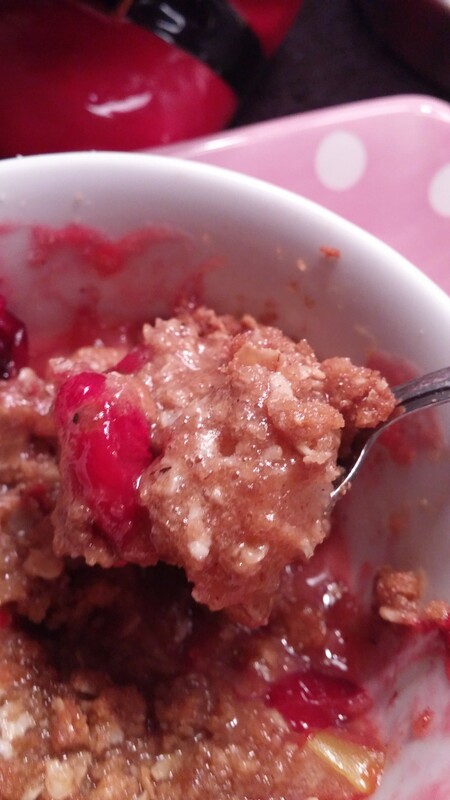 This is a good last minute dessert or decadent breakfast for the holidays! You can make the topping ahead and keep in the frig, then just prepare your fruit and pop it in the oven! Mix the fruit, toss with 1 to 2 TBSP white sugar, cinnamon and nutmeg. Spray 3 ramekins with cooking spray and divide your fruit into the them. Set aside. Use what you have! I have ramekins but the last time I made this I used OVEN SAFE small white bowls, something different! Mix together until resembles coarse crumbs. Sprinkle over the fruit. Bake at 350 degrees for 30 minutes. Serve warm. YUM!